The 2011 DJ Throwdown was a huge success with James Hunter's performance at the sold out Spanish Galleon capping off what I consider the best Throwdown ever! Many thanks to Steve Baker, Butch Metcalf, Julian Fowler, and all of the other DJ's and artists that worked so hard to make the 2011 event one for the ages! DJ Throwdown is also a time when many new songs or an "old" one that maybe no one has heard before "break out" and start to make noise on The Smokin' 45. Although I did not hear as many new songs this year as maybe in year's past, there were still several songs that stood out among the rest! 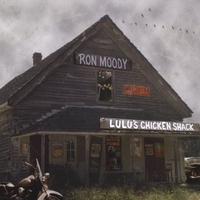 "Lulu's Chicken Shack" makes a big move up the chart this month from # 22 to # 14!! I predict Top 10 next month!! 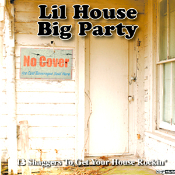 Rhonda's new release from the "Lil' House Big Party" makes a big move up the chart this month based upon it's success at DJ Throwdown, moving up from # 26 to land inside the Top 20 at # 18! I personally witnessed this song pack the dance floor on the Tiki Deck of the OD Beach Club, during a great set of music from DJ's Pat Patterson and Dana Grubb. Neal "Soul Dog" Furr, who was also on the Tiki Deck turned to me and said "Man that song is strong!" I totally agree Neal!! Look for "Lighten Up" to continue to move up the chart over the next few months. One thing that was evident during Throwdown was that many DJ's were playing a lot of Southern Soul music!! Maybe Neal Furr's "Southern Soul Corner" column has something to do with that! At any rate, just about every DJ set I heard during Throwdown inclduded some good ole Southern Soul! 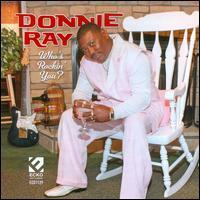 Donnie Ray's "Who's Rockin' You" was heard quite often during Throwdown and it filled the floor every time! "Who's Rockin' You" moves up eleven spots this month to land at # 20!! 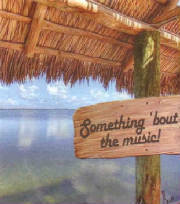 When Pat and Robin Patterson released their "Something 'Bout The Music" compilation during Fall SOS, I thought "Justify" by The Out Of Towners was one of the best songs on the comp, and definitely the best song the band had released to date. The production on the tune is second to none! After several months of the song not making the chart, and not getting the recognition I thought it deserved, I sent the song out to all of the Beachmusic45 reporting DJ's and many others. I asked that they give the song a listen if they had not already, and man did that get results! The song was heard frequently at DJ Throwdown and makes a major debut on the chart this month at # 27!! Great song from a great group of guys! Check it out! Another song that I sent out prior to DJ Throwdown was "It's Gonna Take A Long Time" by Hip Pocket. 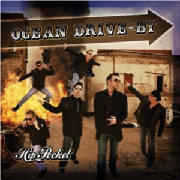 The tune is the first release from the band's brand new CD "Ocean Drive-By" which was released at Throwdown. When Alan Brantley sent me this tune, the first time I listened to it I knew it was going to be a hit! Look for this tune to be Hip Pocket's biggest hit to date! It debuts on the chart this month at # 37 and I expect it to make a huge jump next month! Tell Me What You Wanna Hear - Eli "Paperboy Reed"